UPLAND, Calif. – It was 4:50 pm and an electric yet quiet buzz were in the air at historic downtown Upland. Booths were being set up, wires pulled across the ground and strands of lights hung in their perfect positions. The Upland Art Walk was set to open for its first event of 2019. Vendors and visitors from all over Southern California flocked to Upland on Saturday, Jan. 19, to experience the event. 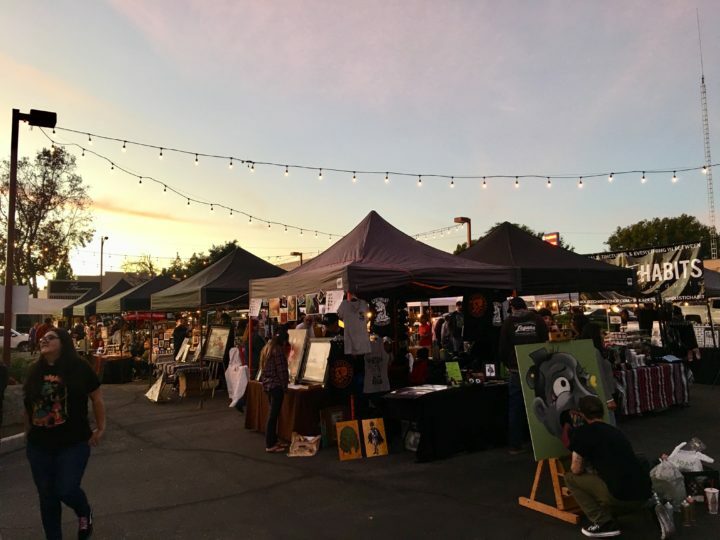 Located next to the Vintage Vault of Upland, a popular antique store, the Upland Art Walk is a free-admission art fair featuring dozens of artists selling homemade and uniquely handcrafted items for visitors to purchase. 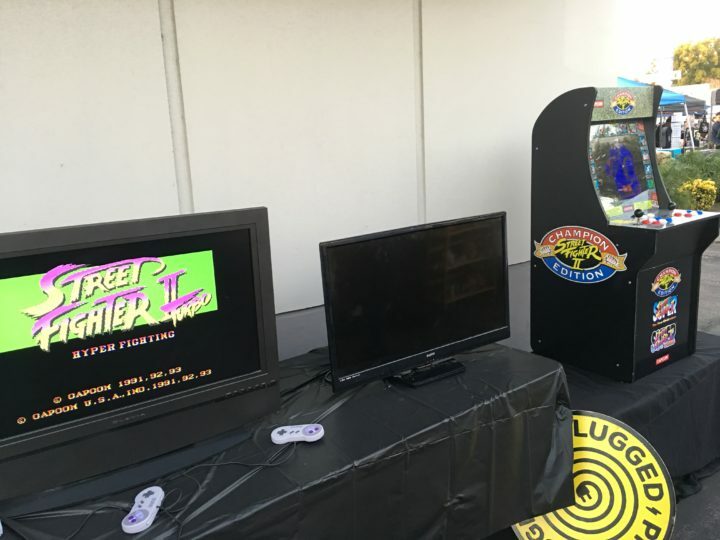 Additionally, the art walk includes food vendors, a free video game station, and high-energy DJ’s entertaining the crowds all night. What sets this art walk apart from others in local cities is its dedication to the artists who showcase at the event. Gabriel Hernandez, owner of Pin Plugged and co-organizer of the Upland Art Walk with Carlos Velastegui, the owner of the Vintage Vault of Upland, stressed the importance of the art walk as an opportunity for the artists to achieve success with their creative work. Throughout the night, vendors shared their excitement and passion for the art walk and their creative work. From coasters, vinegar, dog collars and clothing, to pins, stickers, lamps and soaps, each artist at the event had something different to offer. But more importantly, it gives artists the opportunity to get support from the community and make connections that could positively affect their businesses. The art walk not only provides a space for entrepreneurs to showcase their work and an opportunity for the community to support small and local businesses but also hopes to inspire others to explore entrepreneurship and what they can do with their creative ideas. “I would love to be a vendor here again,” Davina Nichole, a photographer and jewelry designer exhibiting for the first time at the Upland Art Walk, said. 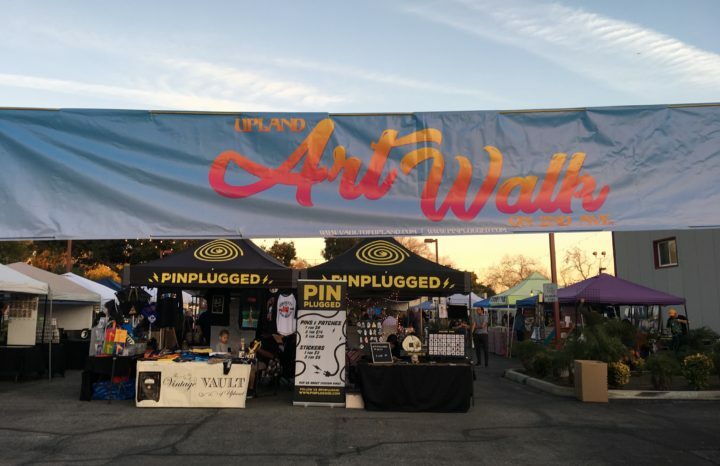 Open from 5pm-10pm, the Upland Art Walk is held quarterly throughout the year with the next date set for April 20, 2019. Hi do you have Origami Ow?